Wine, Cheese and Scrapbooking: Pretty Friday... Pretty Please! It's really been a week since I last posted something around here. It's complicated. The important thing is that the weekend oficially starts today. This is a card I made last month for a special girl. She's pretty inside and out... but above all, she's a happy person. She's always full of energy and looking for the happy side. She's the hyper kind of happy... I don't know how she does it but I think she's electric or maybe she's a robot, you know? Don't tell her! She also dressed up like Audrey Hepburn last Halloween, so I thought this sentiment was right cool for her birthday. And since I had not shared the card before I think it is great to share today and link to Unity's Friday Friends with Flair. 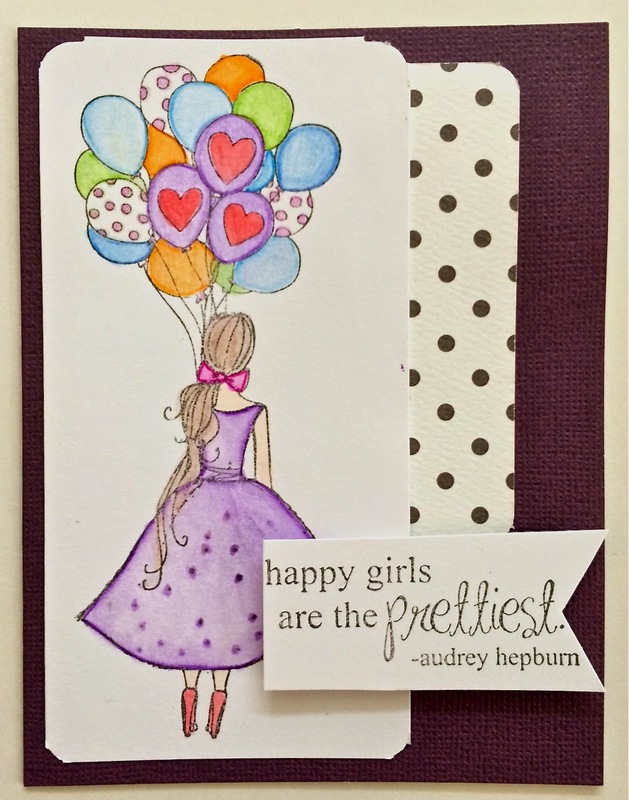 So, leave a comment for a chance to win great stuff from Unity Stamp Co. This is pretty :) I love this stamp! Love this image, such a lovely card! Stunning Myra with her bouquet of balloons .... loooooove!!! xoxoxo Have a great weekend. Very pretty--I like the colors. This is beautiful! 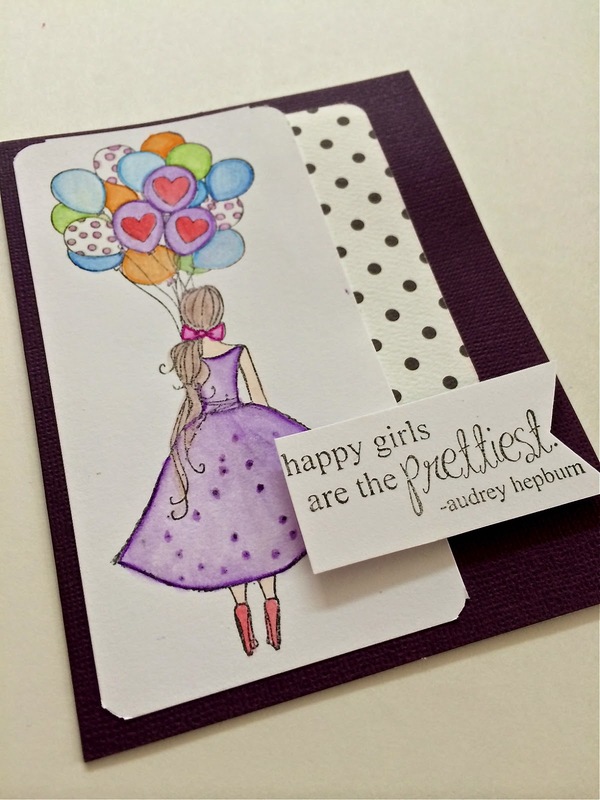 Love the popped up sentiment tag! Great layout and papers! The day of the 'WITHOUT CHILDREN' people!